Our goal is your success. With a tightly involved adviser throughout the decision making process we provide the best solutions together. We do not sell what you do not need. 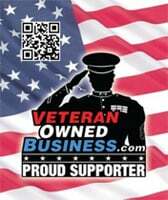 ICON is a veteran owned business with over 20 years experience in all fields of information technology. Having operated within highly complex federal environments, to HIPPA compliant intra-state healthcare networks, developed communication strategy for Fortune 500 organizations, and well versed in the needs of NFPs we have the knowledge and desire to provide enterprise solutions at affordable rates. You are part of our team and we want to be a part of yours. Have needs or concerns regarding your technology? Ask how we can help.